ICE adventure: Overnight Cold Brew. 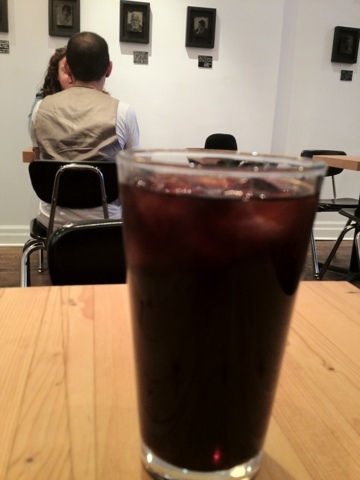 The Barista was kind enough to speak to me about their cold brew method, using the overnight 18 hour steeping process. Taste: compared to the Hot brew it doesn't live up to the Chemex, or French press. But I was able to get that raspberry, lemon and tea-like lingering mouth feel. Definitely more acids than I prefer but it was quite refreshing. One of the better cold brews in the city, definitely refreshed me enough to keep my going on these hot summer nights (days). Will I be back; SURE!